Just when we thought that we have understood the GST system with regard to the Input Tax Credit Utilisation, the Government has now changed the procedure for the order of set-off of the same. While the new rules are fairly simple, let us walk you through this new change and find out how exactly it will impact your business. 49B. Notwithstanding anything contained in this Chapter and subject to the provisions of clause (e) and clause (f) of sub-section (5) of section 49, the Government may, on the recommendations of the Council, prescribe the order and manner of utilisation of the input tax credit on account of integrated tax, central tax, State tax or Union territory tax, as the case may be, towards payment of any such tax.”. So on a reading of the above, the order of set-off of Input Tax Credit will now start with Integrated Tax credit over the Central Tax credit or the State Tax credit, or Union Territory Tax credit, as the case may be. Unless and until Integrated Tax credit has been completely utilized, one cannot use the other credits available. His Input Tax credit is as follows – IGST credit of Rs.2 Cr, CGST credit of Rs. 15L and SGST credit of Rs. 15L. You can see that CGST or SGST payable needs to be paid first with CGST credit or SGST credit respectively. So as you can see in the example, IGST credit has been utilized first as per the new system of set-off, only after which, can CGST or SGST/UTGST be set-off. You see from the second table that in the case of CGST, even though the credit was available and could have been utilized fully, the new system will not let you use the same for the set-off. 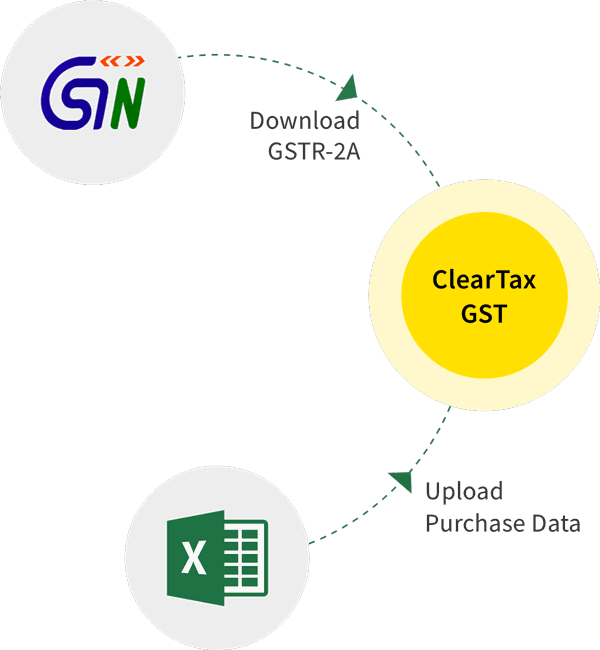 Since CGST credit was not utilized at all, this put an additional burden on the amount of SGST to be paid, as CGST credit cannot be utilized to pay SGST. Further, we can notice that there can arise a possibility of a carry forward of input tax credits of SGST or CGST remaining unutilised during the tax period. So this affects the working capital of your business as your cash outflow will increase from month to month due to the new rules of set-off. However, from the Government’s point of view, it is immediate revenue coming in, in the form of cash. Thus, it helps in mobilizing the economy. The validations based on the changes in the rule, is yet to be incorporated on the GST Portal login for GSTR-3B as on 8th Feb 2019. There was never a manual intervention involved to Offset liabilities with the Input tax credit amounts. This means that the system automatically sets off the credits with liabilities. This is based on the current GST rule for set off following the optimum utilisation. Hence, taxpayers can be relieved.